Hood deflectors have come a long way since the days of that upright blue-plastic beast on the front of your uncle's Caprice wagon. 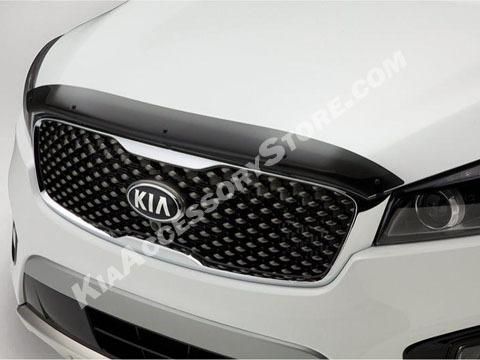 Nowadays, hood deflectors come in great-looking aero styles that fits the contour of your Kia. And hood deflectors still do what they've always done: protect the leading edge of your hood from stone chips, bug residue, and other road debris. Think about the abuse your hood takes from driving and you'll see why hood deflectors are more than just a styling accessory. Hood deflectors really do protect your investment. Easy to attach to my new 2018 Sorento. Price was cheaper than picking up from my local Kia dealer.